William Turkish is the preeminent Social Security Disability expert in America. As a sustaining member of the National Organization of Social Security Claimant’s Representatives (NOSSCR), William has become a National authority, representing clients at all stages of the Social Security Disability process. With 35 years of experience practicing Social Security Disability, William has helped his clients obtain tens of millions of dollars of Social Security and Medicare benefits. William is a graduate of The Detroit College of Law and Wayne State University. 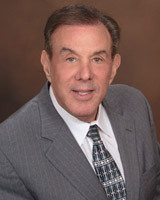 He founded The Law Offices of William Turkish in 1980. William is proud to have his daughter and son join the practice and continue the legacy he built throughout his career. The Detroit College of Law, J.D.